Well, what a whistle-stop week we enjoyed recently, celebrating the launch of our new novel, The Particular Charm of Miss Jane Austen! So much happened in so little time, but I’m finally taking time to look back on a wonderful few days spent with some very special people! It all began early on the Tuesday morning, when my husband and I met my co-writing partner and dear friend, Ada, and her husband, at Heathrow airport. It had been more than a year since Ada and I had last met – back in April 2015 – when we got together in the beautiful city of Bath to map out the plot for our book, defined the main characters – their names, ages, backgrounds and appearances (cue a rather enjoyable hour or so on Google Images!) – and started writing the opening scenes. 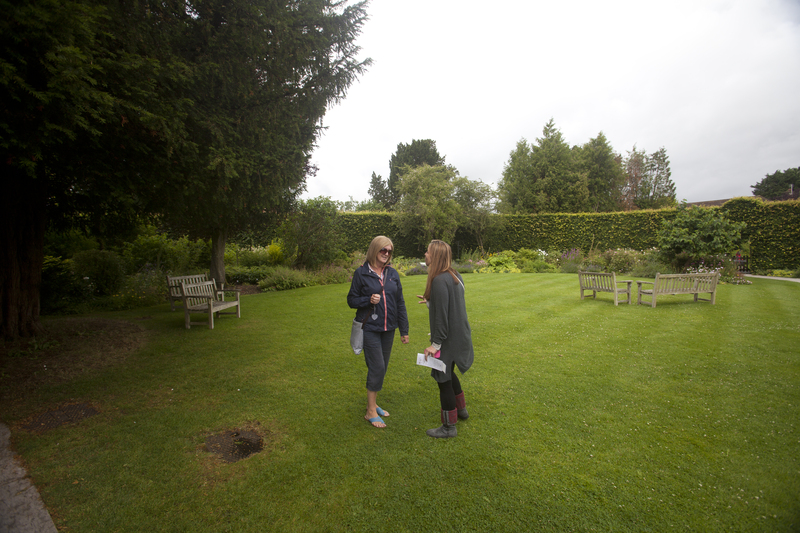 Despite having flown in from LA, Ada and her husband were up for anything, so we headed straight for Hampshire. Two scenes in the book are set in Chawton, where the Jane Austen House Museum (Jane’s former home) is, but Ada had never been there. With the word ‘sequel’ whispering in our heads already, it seemed important to let her experience the village first-hand at last! Joan in her stunning coat! Before that, however, we had our first joint book signing with the lovely Joan Mossop. Joan runs a beautiful B&B, St Mary’s Hall, located on the outskirts of Alton and only a mile’s level walk to the picturesque village of Chawton. 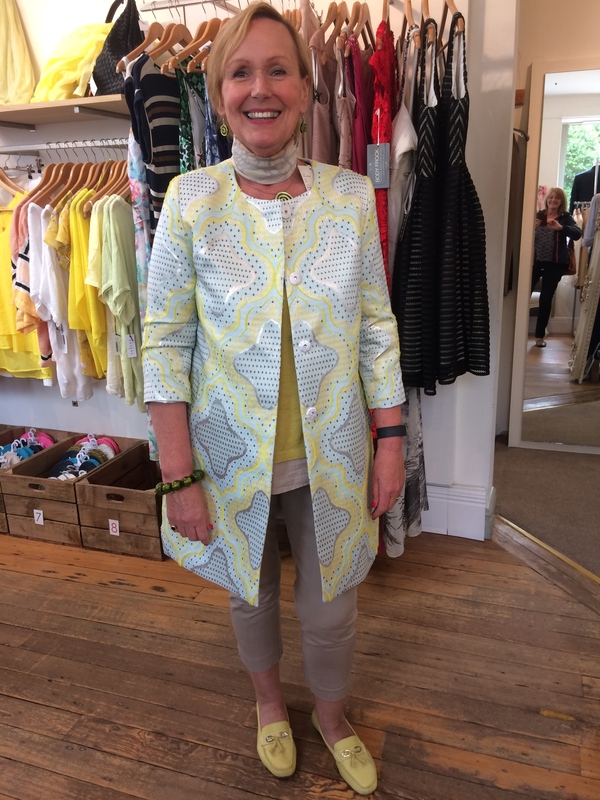 She welcomed us warmly, plied us with hot drinks and biscuits, and modelled for us the gorgeous coat she recently purchased for her son’s wedding! Then, it was time for us to sign a copy of the book for her – I felt incredibly self-conscious, but with Ada by my side and her husband ‘directing’ us, we managed to get some lovely photos of a very special moment! If you’re ever visiting the area, we cannot recommend Joan’s B&B highly enough! It’s housed in a converted chapel – full of character but with every luxury you could hope for! It has a charming garden, parking, excellent WiFi and a fridge for chilling your wine. What’s not to like?! As if that wasn’t enough, it is, as previously mentioned, located an easy walk from Chawton, as well as from Alton town centre, where there are plenty of pleasant hostelries (though we must give a special shout out for the excellent George Inn!) The welcome from Joan could not be warmer or the breakfasts more delicious! I’m lucky enough to have stayed there around half a dozen times in the last 6 months or so, and I can’t wait to go back! Great time of day to visit – nice and quiet! 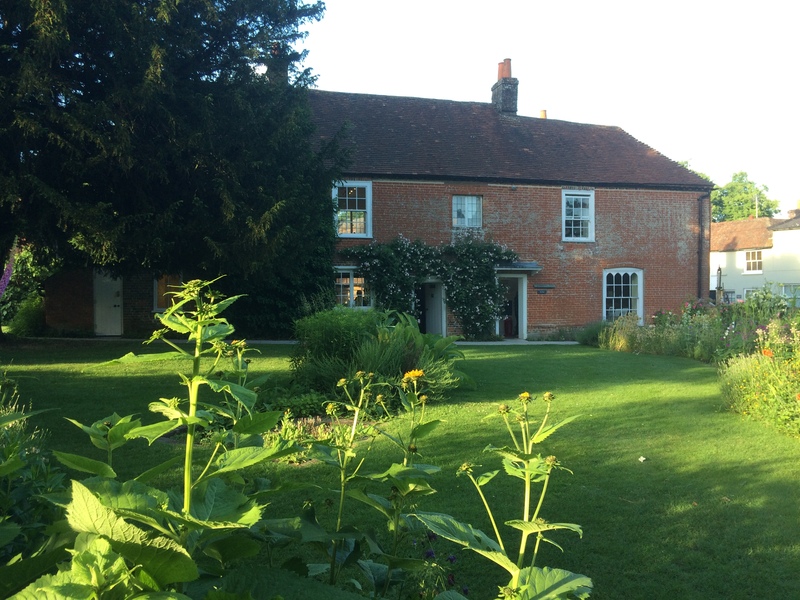 We said our farewells, and drove the short distance to Chawton (not having the leisure of time to enjoy the walk), and before long we were living and breathing a scene from the book as we entered the beautiful, peaceful cottage gardens and then the house. It’s always a moving place for me to be, though rarely melancholy, except for when I stand in the small room on the upper floor and read Cassandra Austen’s letter of Jane’s final hours and her feelings over her loss. I can feel Jane all around me here, and it’s a comfort more than any other emotion. We then headed down the lane to visit St Nicholas’ church, where another key scene is set. Ada took a seat on a significant bench, a very special moment, which you’ll ‘get’ if you’ve read the story! We also ventured inside the church and then visited the graves of Jane’s sister and mother. 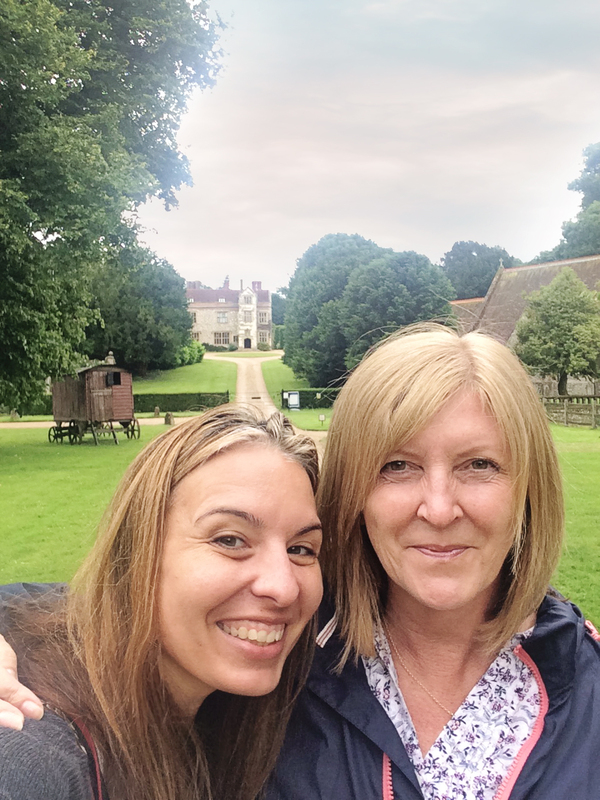 Then, with a last glance down the drive to Chawton House Library (known to Jane as ‘the Great House’), we clambered back into the car and headed for Winchester and more welcome refreshment! More information on The Particular Charm of Miss Jane Austen can be found at our Blog, Tabby Cow, here, where there’s also a double giveaway still running until Sunday, 31st July! 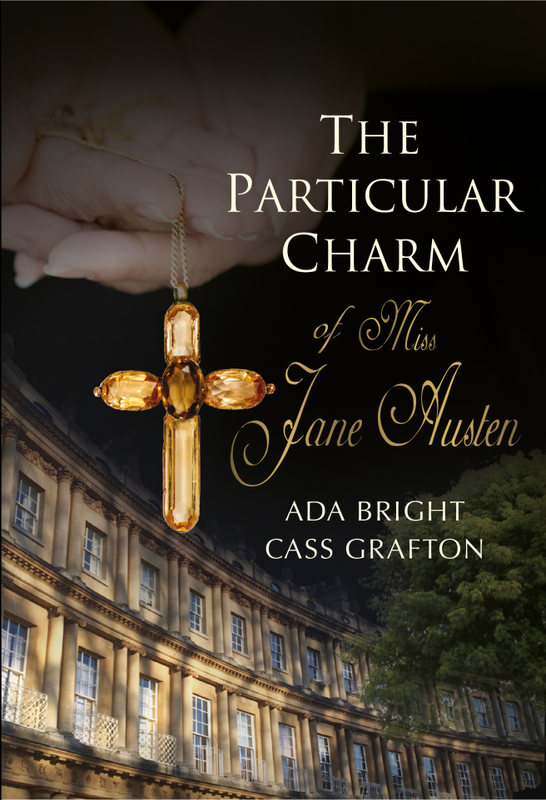 This entry was posted in The Particular Charm of Miss Jane Austen, Uncategorized and tagged Ada Bright, Alton, Cass Grafton, Chawton, Hampshire, St Mary's Hall, The Particular Charm of Miss Jane Austen. Bookmark the permalink. 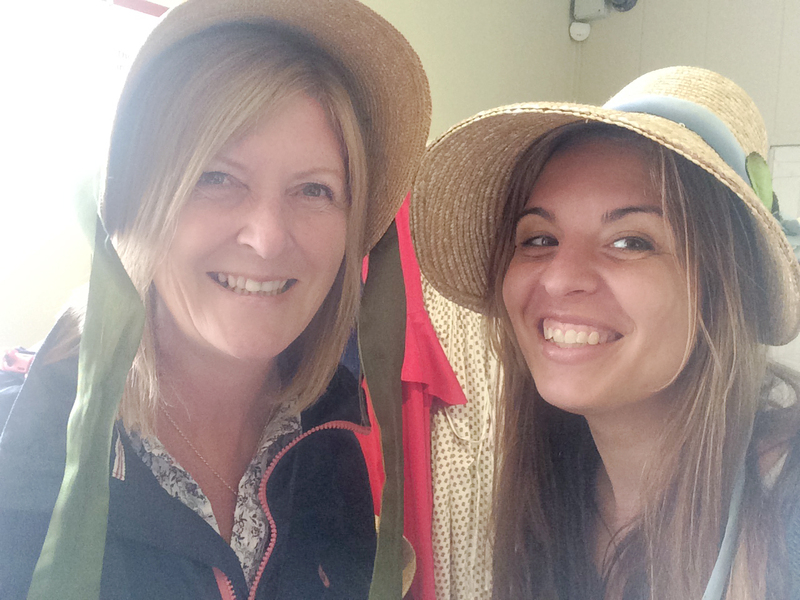 It sounds like you had a fantastic time in Alton and Chawton ladies. You’ve just brought back memories of my one and only (so far!) trip to Chawton. I’m hoping to get there again eventually, as we have friends who moved to Southampton and we visit about once a year. Trouble is that not everyone wants to go there with me! We didn’t have time to visit the church as it was New Year’s Eve, getting dark and we had to get back to Southampton for a party! Saw the Great House from the drive but the gate was closed and we couldn’t get very close. I’m also hoping for a trip to Winchester on one of our next visits. Looking forward to reading about your visit there and to Bath. Anji, I hope perhaps we can get there at the same time as each other at some point next year! There are so many events being planned for such a big year – I hope you can spare a weekend here and there, if not holiday from work! So lovely all around! 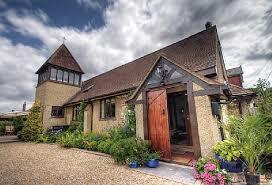 Loved the pictures and if I ever get over, I will check out Joan’s B&B as I love the idea of a converted chapel! I will be buying ‘The Particular Charm of Miss Jane Austen’ sometime next week after we return the grandchildren! No real time for my reading, just theirs. So looking forward to it! Congratulations again ladies! Thank you, Carole! Really hope you enjoy reading it as much as we enjoyed writing it! Do stay with Joan at St Mary’s Hall if you’re ever in the area! It makes a special experience even more delightful!